Access points, Powerlines and Range extenders all basically do the same job. 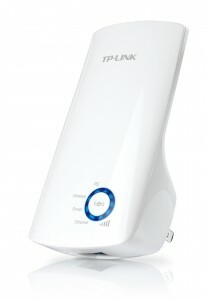 They act as a secondary WiFi box to your main router, blasting out WiFi in areas where your main router won’t reach. They differ from each other though in how the main router communicates with the secondary unit. 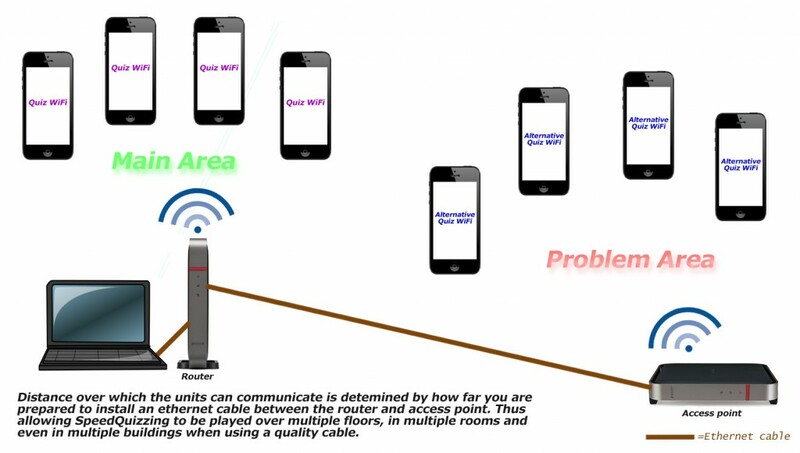 An Access Point communicates with your main SpeedQuizzing router via an ethernet cable which can be run over long distances and is the most reliable method of extending your SpeedQuizzing network. The downside to an access point is that you need to physically connect the two units together laying the Ethernet cable around the venue. 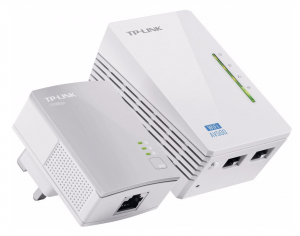 A Powerline Kit basically works the same as an Access Point, but rather than laying an Ethernet cable, the mains wiring in your building is used through your wall sockets to connect the signal from your main SpeedQuizzing router to the secondary WiFi unit. Powerlines are designed for home use but in many cases can be used for short runs in commercial buildings. 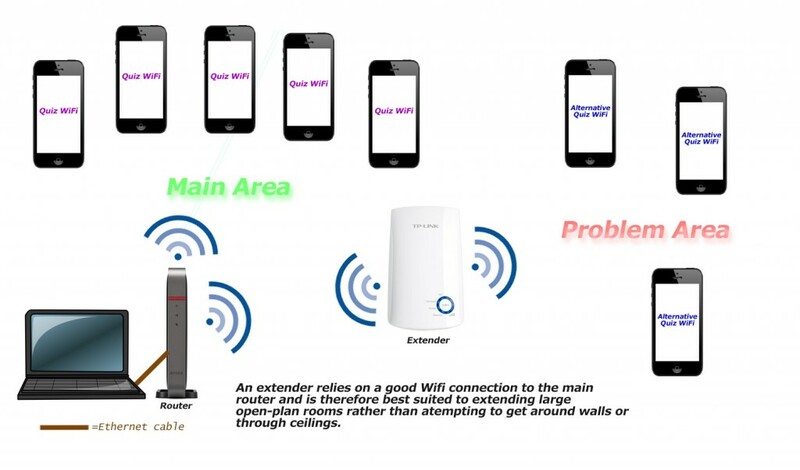 A Range Extender on the other hand communicates with the main router over WiFi, meaning that it needs to be situated near enough to the main router to get a reliable WiFi signal, but also close enough to your problem area to serve a purpose. Assuming you don’t mind running a long length of ethernet cable, the most professional way would be to buy another of our dedicated SpeedQuizzing Routers. 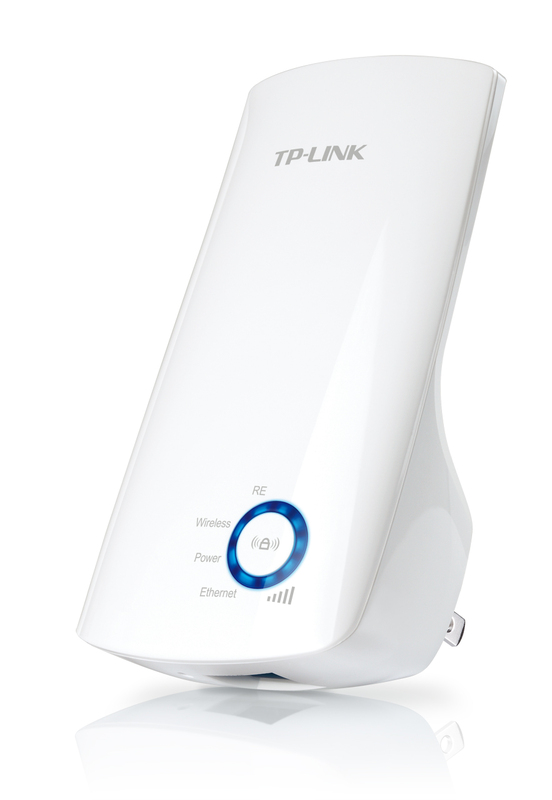 These latest models will (at the flick of a switch) transform into a powerful access point. Connect this to your current router via a long ethernet cable and locate it in your problem area. As a bonus, this unit will double up as a spare SpeedQuizzing router should your main device ever let you down. Assuming the mains wiring in the venue is up to the job, these devices tick most boxes and are the extender of choice for the majority of users. 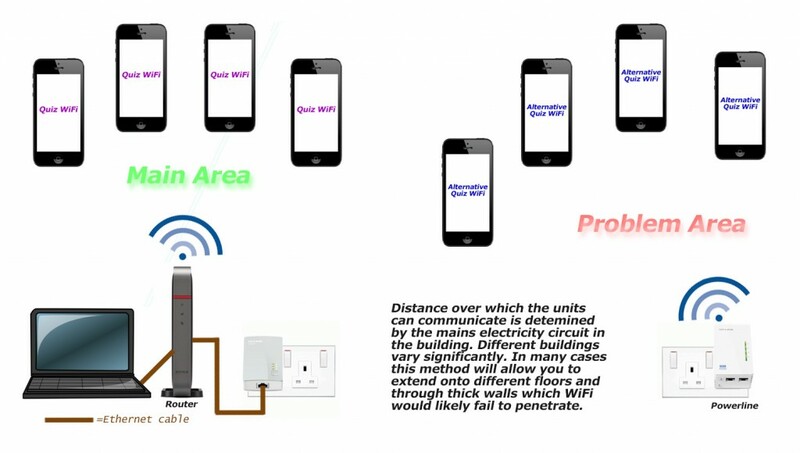 Extending open plan areas as well as reaching multiple floors and isolated little rooms where WiFi doesn’t like to travel, powerlines allow you to put the secondary unit right in the problem area. There are limitations as to how far a Powerline signal will travel through your mains wiring but in many cases this is the the best option. Detailed setup instructions for the TL-WA850 with SpeedQuizzing here. If the other two options are out of your price range and your venue is reasonably open-plan but is just a bit too big for one router to handle, then a Wireless Range Extender may suffice. After it’s configured you simply situate it near to the problem area, but still near enough to your main router to allow the two to communicate reliably over WiFi. Detailed setup instructions for the TL-WA850 with SpeedQuizzing coming soon. 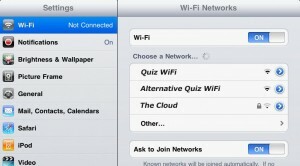 When using any of the three solutions mentioned above, we strongly recommend that you give the second unit a different WiFi name to your main quiz router, such as ”Upstairs”, or ”Lounge area” or ”Alternative Quiz WiFi”. This way (as demonstrated in the illustration bellow), players are presented with a choice of which WiFi network to connect to. Using this method you can give clear instructions. IE: “People in the main area of the room, connect to the network named Quiz, and those in the problem area connect to the network named Alternative Quiz“.